Fireworks on Fourth of July 2006 at St. Simons Island, GA shot from a boat with the intention of producing artistic squiggles! 01 Fireworks at St. Simons, GA taken from a Yacht in St. Simons Sound. 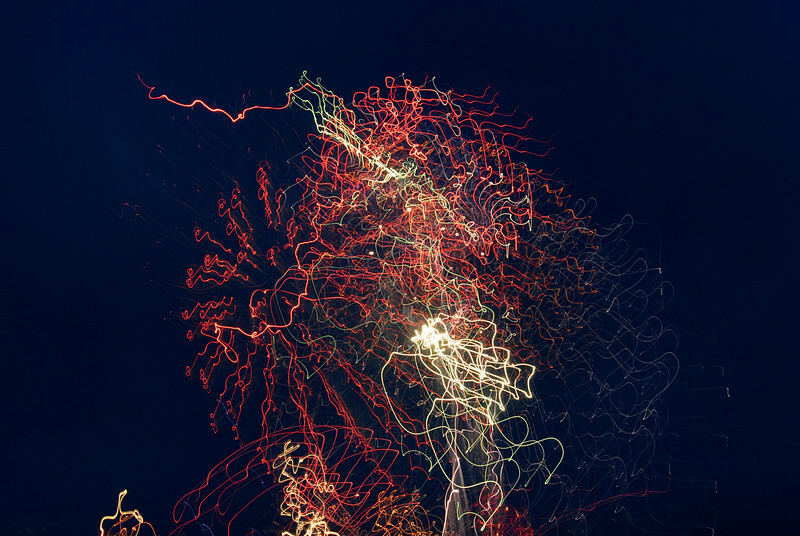 Slow shutter speeds used to create Squiggles.